You asked for it, and we heard you. As of the summer 2016 we are offering a certificate that will be very valuable when demonstrating skill level on boat insurance, maritime employment, or charter applications. Our students will understand and demonstrate specific skills to earn the certificate. While you don’t need a certificate to sail a boat, many people that are just getting into sailing appreciate the guidance a certification system provides. Provide a checklist of skills as a goal and guide for learning. Serve as a sailing resume for maritime employers, insurance companies, or charter boat companies. Give you insight on what to work on next. Why is this different from other certification programs? I can’t attest to all programs and curriculums out there, but from my experience our curriculum is unique because it is flexible as opposed to highly structured. How can we possibly be highly structured while teaching in an environment that is so dynamic? We are not separating our course into different courses such as “basic sailing,” “navigation,” etc. To sail a boat from point A to point B safely, you need have an understanding in all areas of operation. Navigation doesn’t come after points of sail. In fact, if it is foggy and windless on the first day, it will come before points of sail! Additionally, this allows us meet our students where they are at and help them reach their individual goals. Our students are unique with varied backgrounds and talents. Not everyone fits a cookie cutter path to sailing independence. 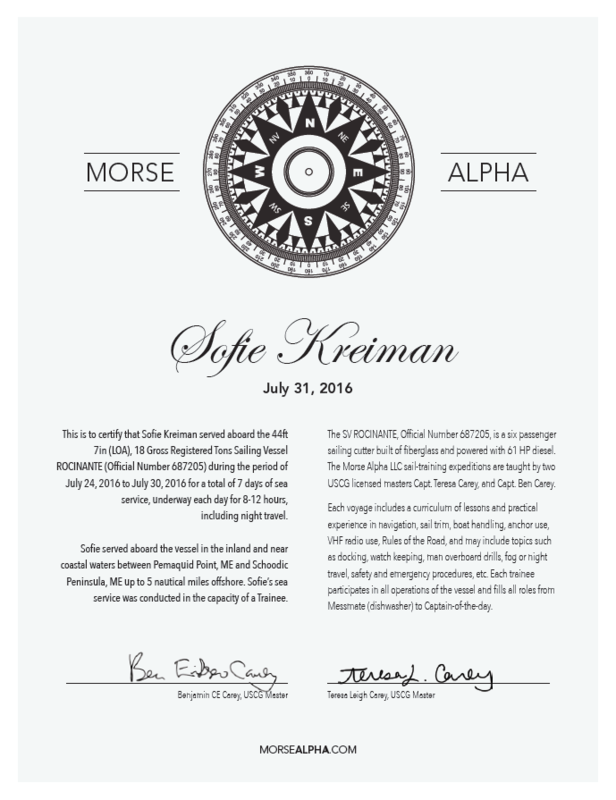 Have more questions about sailing certifications, check out this blog post.